Acclaimed actor Leonardo De Filippis gives another stunning performance in this portrayal of the great Carmelite mystic and Doctor of the Church. In his biggest and most challenging film yet, Defilippis gives a warmly human portrait of the mystical John, showing the humility, suffering, patience, and charity of this man who was passionately in love with God. 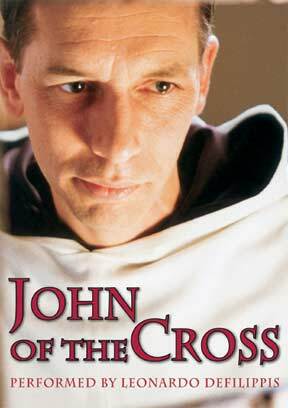 Also includes actors and actresses in other roles like Teresa of Avila, Carmelite monks, etc. Shot on location in beautiful Napa Valley.